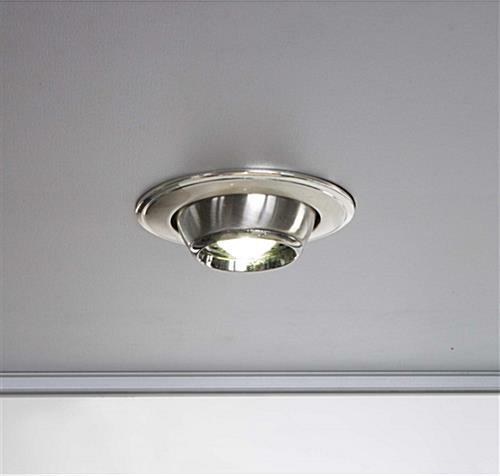 Built-in Feet Levelers Adjust for Uneven Flooring. 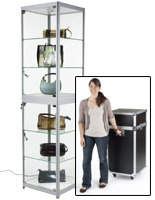 Easy Assembly Perfect for Quick Trade Show Setup. 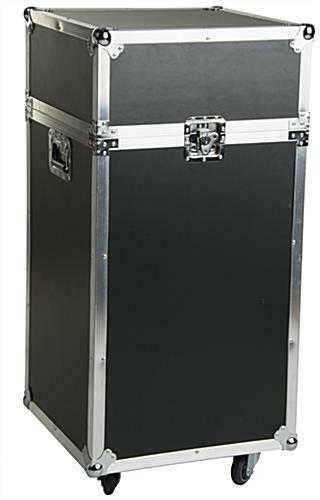 Silver & White Colors will Coordinate with Decor in Many Types of Rooms. 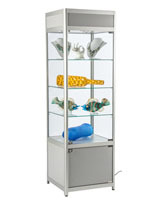 The exhibit tower with travel case provides a lower cabinet for secure unseen accessory storage and an upper, locking exhibition area that protects expensive merchandise. 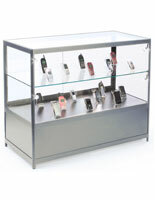 This portable display comes has a silver frame made of aluminum with tempered glass panels and shelves and has a finish of white on the bottom melamine cabinet. 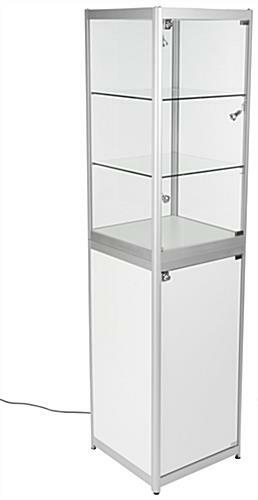 This tower for trade shows comes with a rolling outer shell designed to protect the display pieces while being transported. 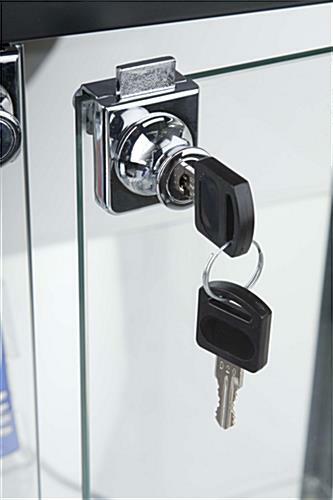 The portable display container comes with a safety lock in addition to the locks that are present on the upper and lower parts of the exhibition showcase. 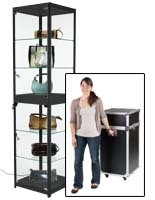 The tower is ideal for trade shows because it will assemble and disassemble quickly for fast booth setup. 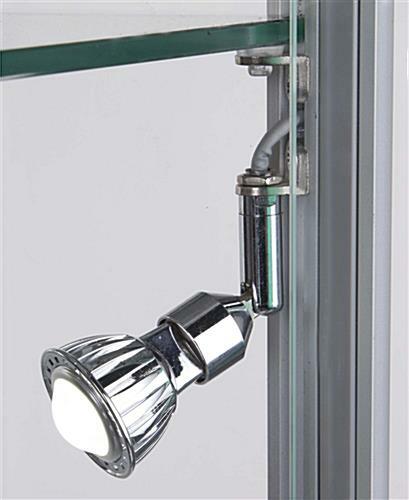 There is one recessed light in the top of the showcase and 3 adjustable instruments on the sides all of which are LEDs to present jewelry accessories in the best light.